Here’s a reminder that Saturday, April 23, will be our annual Trashman event. The Trashman is the CNY Tri Club’s annual (or sometimes biennial) event to beautify Apulia Road in the Jamesville Beach area. We like to clean up the trash that has accumulated in the past year along the way of our summertime Jamesville Beach training course, not to mention sprucing up a portion of the Syracuse 70.3 course for our out-of-town visitors. It also is our way of thanking the local residents and commuters for being patient with us on our weekly excursions through the area. As usual there will be a bike ride afterwards, and we invite all who wish to tackle the new 70.3 bike course to give it a shot. Or choose a shorter, early season route. Trash pick-up will start around 9 a.m. More details to follow. Next Board Meeting: Monday, May 16, 6 p.m.
We are excited to be back for our Sweet 16th birthday! 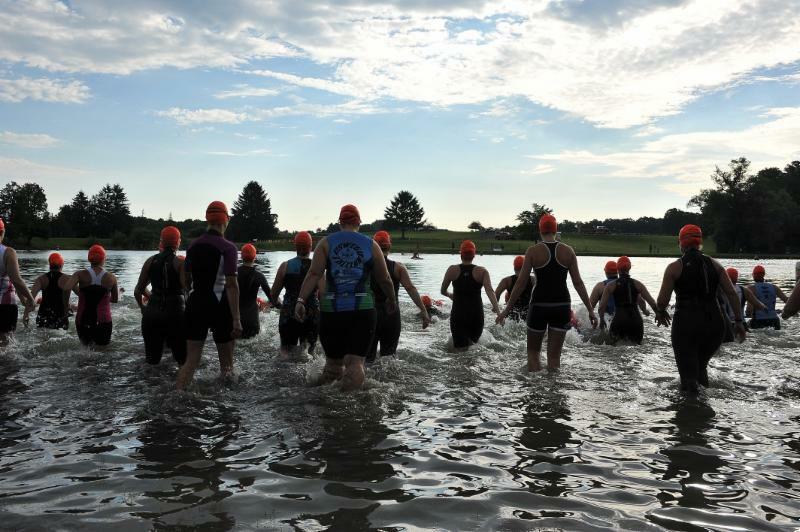 Join us on Aug. 28 for the 16th annual Cazenovia Triathlon. Even though it’s a teenager, this is the same great race we have come to love and enjoy. The date has changed to Aug. 28 to allow those racing Ironman Lake Placid, Iron Girl Syracuse, Delta Lake Tri, Xterra or any other amazing local triathlons plenty of time to rest and recover, as well as helping extend the race season a bit further toward the fall. Our goal for 2016 is to sell out the event. We are taking 400 athletes and, considering the popularity of the race last year, you should register soon to reserve your spot. Again this year we are offering race T-shirts, a finisher medal for all of those who cross the finish line, free beer from Good Nature Brewing to all our athletes over 21 years of age, a new and improved transition area (specifically Bike In/Out) and so much more. Intermediate and Sprint Relay as well as an Intermediate and Sprint Aquabike. For relays, athletes can race in two- or three-person teams. Good luck with your upcoming training and we hope to see you in August. 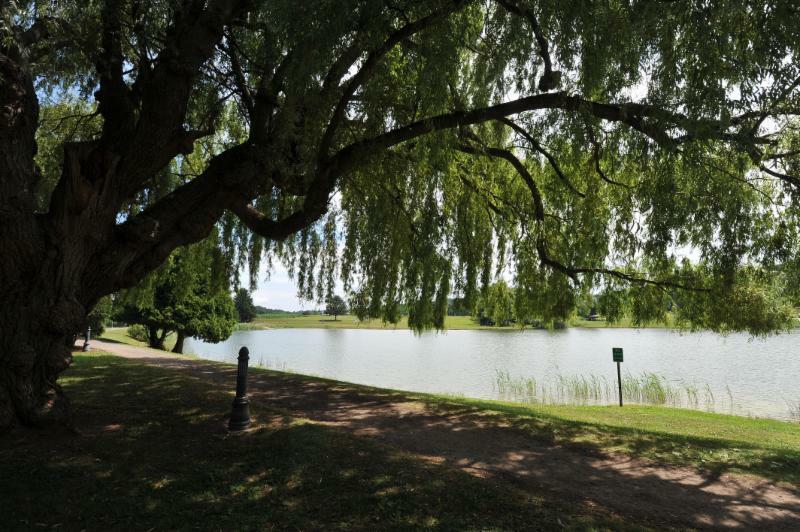 On Sunday, July 17, the fifth annual Gillie Girl Sprint Triathlon will be held at Gillie Lake in Veteran’s Memorial Park, Camillus. For the last five years, the Gillie Girl team has had two missions–put on a great event and raise as much money as possible for breast cancer research. According to the athletes and the Carol M. Baldwin Breast Cancer Research Fund, they agree. Mission Accomplished! If you have not been to Gillie Lake, it’s worth a trip. The lake is fed by five natural springs and the surrounding roads are very scenic for biking and running. The race is identified by its signature double loop swim (two quarter-mile loops), which is ideal for beginner triathletes needing to gain confidence. 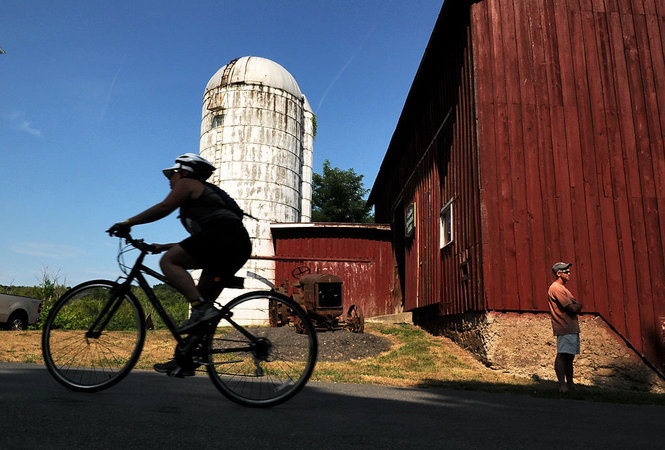 In addition to the swim, the bike course is a 14.7-mile route on rural country roads and 3.1-mile scenic run. “We have tried to create an event that is ideal for both the seasoned triathlete and the beginner, and we wanted to make our event as spectator friendly as possible,” added Prager. Gillie Girl participants will have race bags full of cool stuff, an amazing course and an awesome post-race party. Athletes will find it easy to dig deep on the way to the finish line; the sound of music, a huge welcoming crowd, the smells of food (enough to feed 2,000 people), amazing energy from participants and volunteers on the course and inside our sponsors corral, and activities for the entire family designed to keep your support team entertained, including the kids. All of this is put together so you can do one thing on race day– focus on you! Gillie Girl Sprint Triathlon is smack dab in the middle of the summer so athletes have plenty of time to build their fitness and perform well on race day. Many athletes will use Gillie Girl as their introduction to triathlon, or as a warmup for events later in the season. The race organizers believe Gillie Girl is perfectly positioned as a warmup to other local events such as Irongirl, Cayuga Lake Triathlon and our club event, Cazenovia Triathlon. It’s also a great race for athletes looking for a warm up for Nationals. This year, as a result of the $100,000 milestone, the Carol M. Baldwin Breast Cancer Research Fund will be naming a $50,000 research grant on behalf of all the hard work put on at the Gillie Girl events. It takes the help of so many for this event to happen year after year. Your ability to participate, donate or volunteer is something you can feel good about. It helps support breast cancer research and your volunteer efforts keep our athletes safe as they compete. 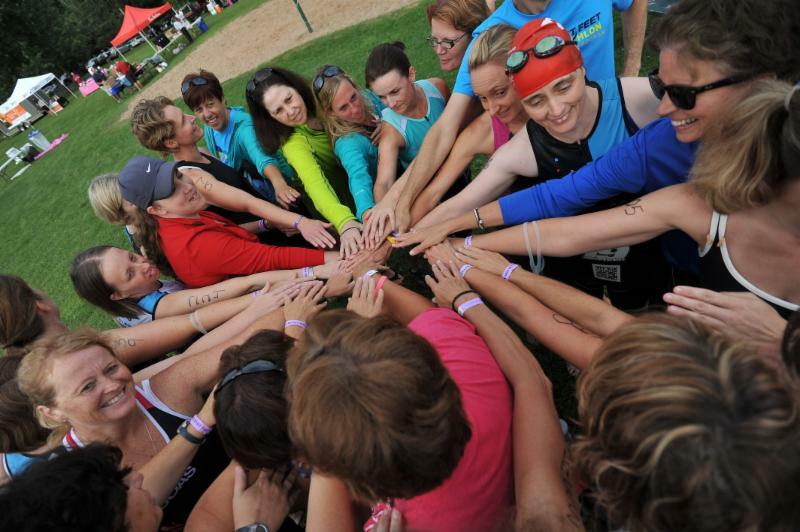 For more information and to register for the Gillie Girl Sprint Triathlon, head to www.gilliegirltri.com. 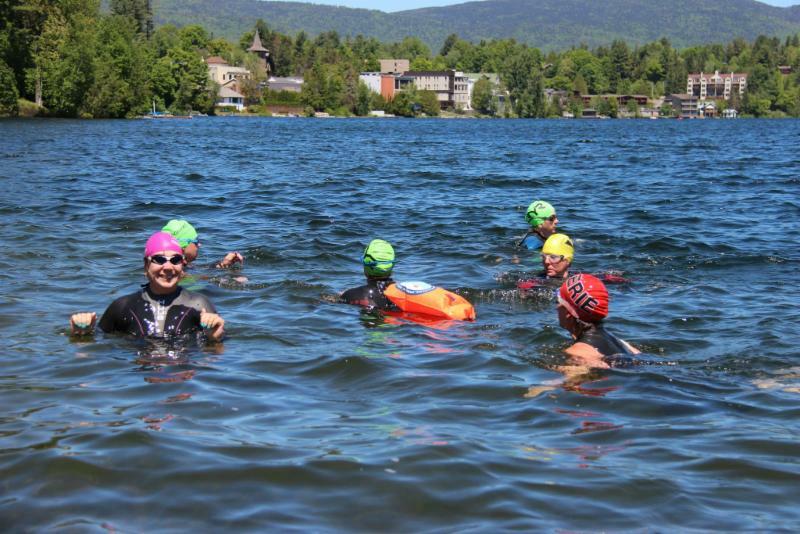 Also in its fifth season is the CNY Tri Club’s Wednesday night training program at Gillie Lake. Training this summer will begin May 25, with two weeks of duathlons until the lake opens for swimming on June 8. Men and women are welcome to join the Wednesday night fun and train for the good of the sport. And club members are encouraged to volunteer; information on signing up will be coming soon. 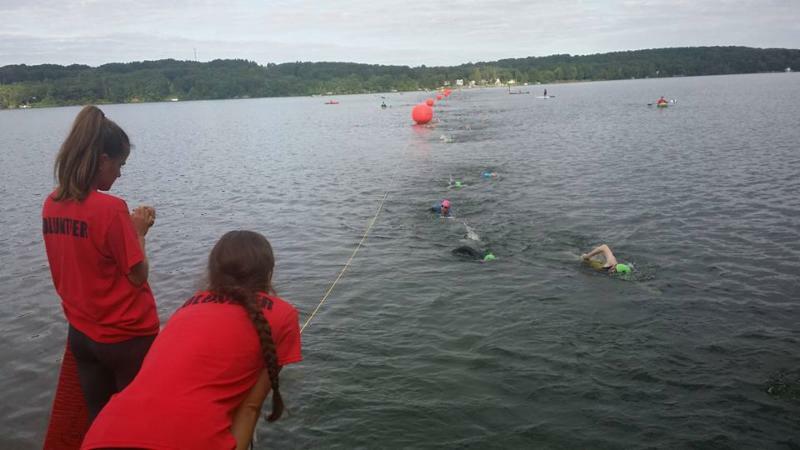 For many athletes, the swim portion of a triathlon can be the most challenging. There can be a million different reasons why someone struggles with swimming. The biggest problem I see is with comfort level in the water. If you are stressed in the water, performance goes down and fatigue increases. Sometimes spending more time in the water doesn’t help. So what do you do? Swim on land? Why are comfort level, posture and form so difficult to maintain in swimming? The reason is that nothing solid is really holding you up or connecting you to a solid surface. When you bike it’s the bike and the ground. In running it’s your legs and the ground. Not so much in swimming. Here are three exercises you can do at home help your swimming. They can be done on the floor, ottoman, coffee table or stability ball, depending on your postural strength and ability. You can use whatever kick or stroke you want. Prone kicks. Lie on your stomach, legs straight and arms on the floor in a Y position. Lift your legs off the floor and begin to flutter kick. Use your hands to stabilize the body and turn your head side to side and breathe. Don’t hold your breath. Start with 3-4 sets of 30 seconds and work up to 3-5 minutes per set. Arm stroke. Lie on your stomach, legs straight and arms in a Y position. Lift your arms off the floor and begin to perform arm stroke with good form. Use your legs to stabilize the body and turn your head side to side and breathe. Don’t hold your breath. Start with 3-4 sets of 30 seconds. Work up to 3-5 minutes per set. Plank birddog. Get into a plank position on hands and toes, hands directly under shoulders with body posture straight. Now, lift right hand and left leg straight up, then down and switch to left arm and right leg. Turn your head side to side and breathe. Don’t hold your breath. Start with 3-4 sets of 30 seconds. Work up to 3-5 minutes per set. Race hard, train smart, be safe. Tell us about yourself: I’m 33 years old and the proud father of an awesome little man, Anthony Lincoln, who just had his 2nd birthday at the end of March. I live on Syracuse’s North Side with my wife-to-be Theresa. I’ve managed a restaurant for the last 3+ years in the heart of North Syracuse, Utica Pizza Company. How long have you been involved in triathlon and what made you take it up? My triathlon involvement/ participation began the first weekend of August 2012. Over a bet with my younger brother. Who is your hero? I’m not sure I really have a hero. There are many athletes I’ve followed throughout the years. If we’re speaking generally, Donnie Baseball/Don Mattingly immediately comes to mind. New York Yankees at heart. I am a huge open wheel follower and fan. Juan Montoya keeps me glued to the sport. I’ve followed him since 1999 through the European Formula One series, to NASCAR, and now to his home, where he belongs, Indy car. If we’re narrowing it down to athletes I admire in the sport of swimming, biking, running or triathlon, I can’t help to give honorable mention to Gwen Jorgensen. What she has accomplished in 2015 for the U.S. team’s prominence in the sport is compared to none. I find I spend most of my early mornings (late nights if recorded) watching any pro cycling events around the world. I have taken my stance with Peter Sagan. He isn’t a pure sprinter, not a man of the mountains, but an overall well-rounded gritty rider and if I could emulate my style after his, well, that’d be OK by me. What is your athletic background? In junior high I joined the indoor track team after rummaging through some old black and white photos of my father running track at Manley Field House for Bishop Grimes. I saw them and said, “I want to do the same.” Throughout junior high and high school I was running cross country, and both indoor and outdoor track. I gravitated toward the distance events in track, albeit those being the 1 mile or 1500, if we are calling those distance events. Then I took a hiatus to pursue the typical early 20s, late night college debauchery that everyone probably regrets doing, but that offer some of the best stories. However, here I am, back at it. What are your triathlon strengths and weaknesses? Weakness #1 will always be the swim. I feel I put myself at an automatic disadvantage finishing in the bottom one-third; that isn’t for the lack of trying. In my first triathlon I didn’t make it to the first buoy without flopping over on my back or going with the side stroke. I’ve since gotten better in the swim, with the help of a preseason triathlon swimming course offered at the YMCA. It all comes down to technique, which they’ve taught me, and taught me well. I can now get through the entire swim at a reasonable front crawl. But it is still a far cry from where I’d be happy. The only answer to that is more time in the water; which I am currently trying to improve. I feel the bike leg is just that: the bike. I can take it or leave it. I train the least on the bike. 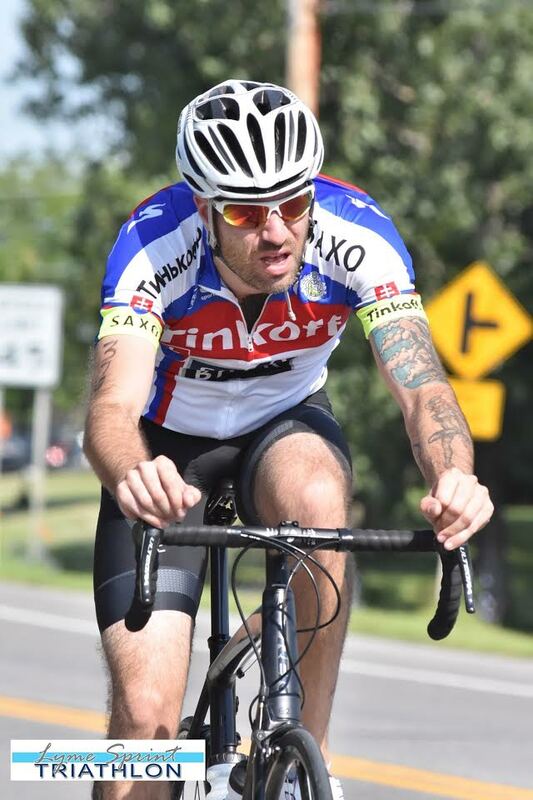 I’m not on the best equipment, also not the worst–a late model Trek Madone; it gets the job done. If I can hit cruise control at 19-20+ mph then I am satisfied. I would be a lot more satisfied if I was in the position to upgrade to a tri-specific bike, and had the time to put a good bit of miles of training in, and get my avg around 22-23, but such is life. My strength is, and always will be, the run. I can crank out sub-7 minute miles for as long as I need to. As with the bike, I feel I don’t train to the extent I should with running; it’s the only discipline that comes natural to me. What is your favorite race and why? 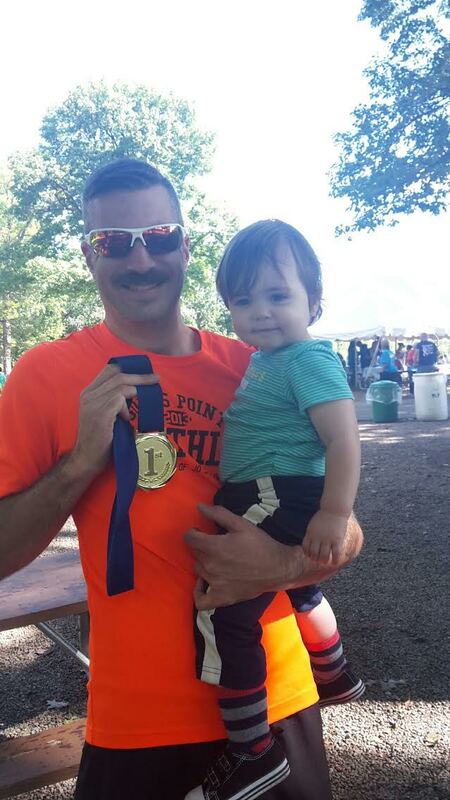 Sodus Point Triathlon. The swim is off the sandy beach adjacent to the lighthouse pier. The bike has a few rollers, just enough to make it a challenge but not too overbearing that I feel drained by crazy climbs. The run makes two loops through the beachfront neighborhood with plenty of spectators and fan fare cheering you along. I usually take a weeks vacation in Sodus, renting a beachfront house, the week prior or after the race. The town is just a fun place to be, with waterfront restaurants and live music on the weekends. What was your worst race and why? I’m not sure I’ve really had a “worst race.” There have been plenty of races I’ve been unprepared for. I think it’s more fun to go somewhere new and just wing it. Arguably, my worst race was my first one because I had three days to prepare for it, and never experienced all three disciplines in succession. That was an eye-opener. Other than that I’ve had a few races that had a windy day and the swim was quite choppy. I think the most unprepared I was for an event was the first year I did Green Lakes. Up until that point I was riding on relatively flat roads and I was not ready for the big climbs. What races are on your calendar for 2016? I started the season with a couple half-marathons. 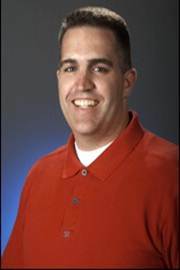 Triathlon-wise, my first will be at the Rochester YMCA, an indoor tri, just to get back in the swing of things. Late May I’m doing an Olympic in Indianapolis the day before the Indy 500. Locally, my itinerary will start at Green Lakes. I am doing the Syracuse 70.3. I am also doing the tris in Sodus Point, Henderson Harbor, Chaumount (if not the same day as Sodus), the River Rat in Clayton. I’d like to try the Caz Hillbender and Oswego’s Tour de Loop. I want to try a few cycle-specific events if time permits. If I have a weekend off and there’s a 3.1 within 30 miles and I don’t have a big race planned, I’ll be doing a 5K somewhere. What are your goals for this year? Surpassing my best times in all my repeat events is a go-to-goal. I’ve lowered my times in succession in each event entered since I’ve started triathlon. 2016 will be my first HIM at the Syracuse 70.3. I don’t expect an award-winning performance, but I do expect personal success. In five years I hope to: Finish my fourth Ironman in Lake Placid and maybe, just maybe, do well enough to go play in Kona. But in reality I am not looking five years down the road at the moment. This year my “A” race is the Syracuse 70.3 with, I hope, a jump to the full at Lake Placid for 2017. Something most people don’t know about me: Gahh. This is a hard one! I’m pretty transparent and say what’s on my mind. That doesn’t always pan out well in the end. But no one will ever get the sugar-coated version of me. What triathlon has taught you: There’s no such thing as climbing to the top of the mountain. You can always improve. You can always get better. In most cases there will always be someone better than you. The goal in triathlon isn’t to beat that person. It’s to better yourself and push yourself past the boundaries that you think are in place, but aren’t.